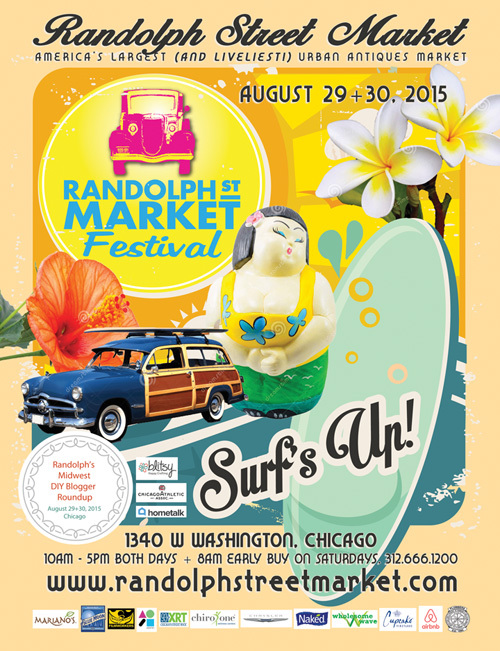 The next Randolph Street Market is on Aug 29th and 30th, 10am to 5pm both days. Stop by 1340 W. Washington and check out all the vintage goods, antiques, fancy foods, artisan goods, and more. General admission is $8 online or $10 at the gate.